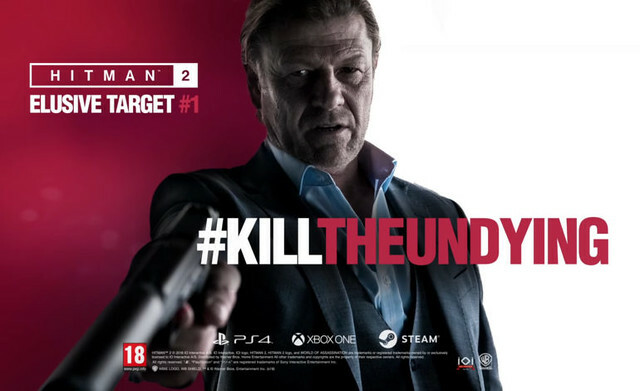 Warner Bros. Interactive Entertainment and IO Interactive today announced that international actor Sean Bean will star in the first Elusive Target mission for the Hitman 2 video game. Bean will take on the role of Mark Faba, a former MI5 agent turned freelance assassin. Notoriously known as “The Undying”, Faba’s reputation as a master of faking his own death is second to none, ultimately causing the International Contract Agency (ICA) to put an imposing bounty on his head. The first Elusive Target mission, entitled The Undying, is scheduled to release on 20th November, one week after Hitman 2 launches on 13th November, and will run for 10 days. Once the mission is available, players must stop Mark Faba before he can utilize his expert surveillance, infiltration and demolition skills to complete a contract at the Global Innovation Race event in Miami, and if anyone can take down Faba for the last time, it’s Agent 47. They killed him off too soon in GoT. He was great! Agreed. I wish they had picked a character for him to play who was going to be around for longer. Still, he did a great job. I suspect the series isn't going to end well, the last season after they stopped following the books wasn't very good. I don't know if I should feel sorry for Sean Bean to be killed yet AGAIN, or to hear that all his deaths in so many movies were fake. Either way, what an excellent choice! They killed him off precisely when he needed to be, based on the source material. Them's the breaks. It's not as if he didn't know what he was signing up for, after all. I love the fact they're clearly referencing his propensity for playing characters who get killed, by casting him as a character named The Undying who inevitably gets killed. It's a nice little meta-joke. They might be trying to create a recurring arch-nemesis for 47 I guess?